Upton Brothers Unite in Atlanta – Best Outfield East of LA? The Atlanta Braves join the Los Angeles Angels and Toronto Blue Jays as teams that made a splash this offseason. After signing B.J. Upton to a 5-year $38.5 million contract, the Braves have completed a trade to bring his uber-talented younger brother to town. Brothers, B.J. and Justin Upton, will join Jason Heyward to compose the strongest outfield East of Los Angeles (the Angels still hold claim to the best group in baseball with Hamilton, Trout, V. Wells, and Trumbo while the cross-town Dodgers boast Kemp, Crawford, and Ethier). Additionally, the Braves received Chris Johnson to cover third base, as former all-star, Martin Prado, heads to Arizona with a package of prospects. The Braves were not expected to be able to re-sign Prado after 2013. Entering this offseason, the Braves faced starting the year with a hole at LF or 3B–wherever Prado did not start. This trade somewhat plugs the whole while also providing the club with a potential 30+ HR slugger. Coming off a season in which the new two Wild Card format made them the first team to ever miss the divisional series after ending the season as the #1 Wild Card, this deal comes as welcome news. With franchise cornerstone, Chipper Jones, retired, it also creates an obvious advertising plan to replace the “Last chance to see Chipper” mantra. I have long wanted to see the Upton brothers play together, and it’s great that they’ll now have that opportunity. Stories like this just seem so wholesome and American when they happen in baseball. Beyond that, the Braves have a chance to be extremely competitive. Their rotation of Medlen, Hudson, Minor, Maholm, Beachy, and Teheran doesn’t quite stack up to the Nationals’, however their hitting will be formidable and they are my very early pick to claim the division (official picks to come). 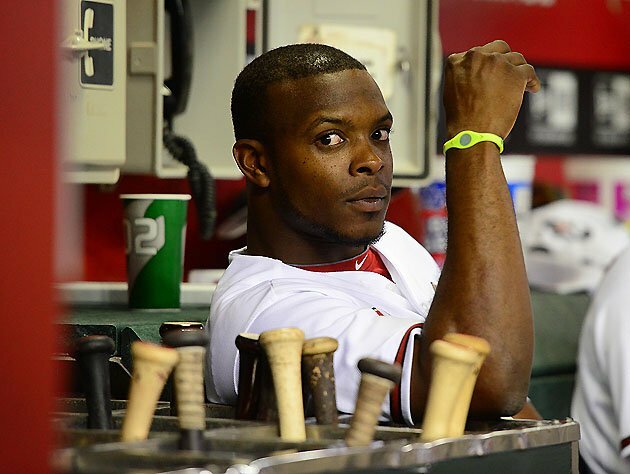 Justin Upton only had 17 home runs last season, after 31 in 2011. The success of he and his brother will likely be the biggest factor in Atlanta’s 2013 charge, along with continued success from Medlen. Kudos Braves fans! You have a lot more to look forward to than I do, as my Yankees get older and the Braves get better. The Nationals have a good club and have bolstered their bullpen with another high caliber closer in Rapheal Soriano. The Braves used to be all about pitching. Not so much anymore. We were talking about the possibility of the Upton trade this morning at Martha’s On Main at breakfast. Our local radio news jockey, a Phillies fan, didn’t think the trade would be made.